Steve Tobias is now an Adjunct Professor of Mathematics Education in the School of Education at UNE. 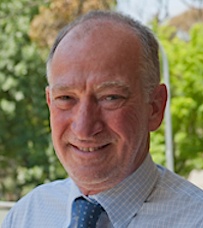 He is a qualified secondary mathematics and science teacher with a decade of teaching experience prior to entering teacher education as a mathematics lecturer at La Trobe University in 1989. He has also taught at James Cook University in Townsville and moved to the University New England at the beginning of 2009.